50-year and Life Member Don Perkins (R) is seen here with his son Rooker at our 100th Anniversary Celebration. It is with deep regret that we announce the passing of member Don Perkins. 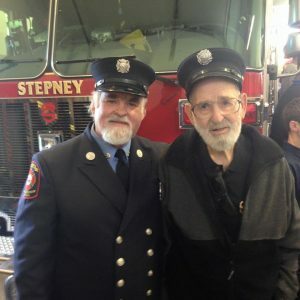 Don was a 50+ year and Life Member of Stepney Fire. Funeral arrangements have not been announced as of this writing. Updates will be posted.